I don't know who u are replying to, but I think everyone here is trying to help u find the cause & a solution to ur pulling. ^^^^^THIS. Yet again, I find Roswell perfectly expressing my thoughts. But who ARE you talking to Huchimo? That was so out of left field. Nobody is giving you are a hard time here. 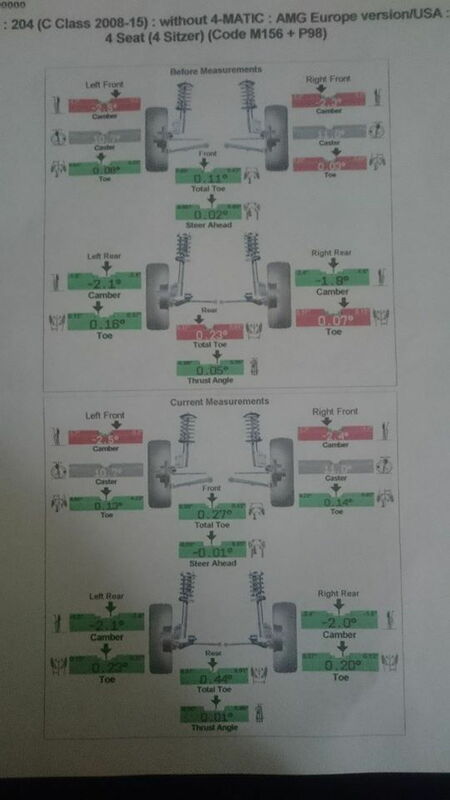 As I suggested, my friend resolved his pulling by installing the longer aligment bolts, if that fails then u don't have much choice then to remove the springs & buy Coilovers but be aware some ppl also have pulling on Coilovers. Eibach only makes springs for regular C unfortunately. From a quick search, deslership sells them but not cheap (300$).. Maybe a sponsor here like TAL @ ACG might have it cheaper. Edit: 300$ was including install & alignment. Last edited by Roswell; 10-12-2015 at 07:27 PM. I understand everyone is trying to help. My comment was related to one from last year where someone said that if someone's car didn't pull to the right they were wrong. It was a comment from someone who doesn't seem to know much about cars, but that's ok. My comments were in no way associated with any comments made recently or to my own problem. So I say thanks to everyone who has given some good advice. As far as the longer camber/caster bolts, I am wondering if they are actually going to be long enough. I then read where the K-Mac kit is available. Has anyone installed that kit on their AMG? It seems like a lot of money, but if it will make the pulling go away then I feel I need to give it a good thinking over. I will give them a call and see what they say tomorrow. Again thanks for all of the input from everyone, and I apologize if anyone took my own comments in the wrong way. My issues stem from folks who think they have all of the answers when they just don't. Every single car is so different from the next one. So if anyone has used the K-Max kit I'd love to know how it worked out for them. Thanks again to all. I am running the K-Mac camber kit as we speak. 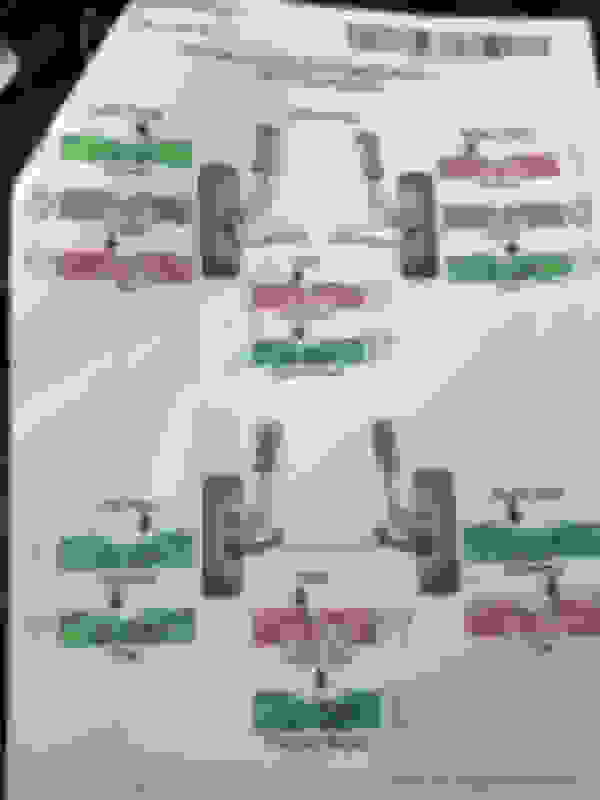 My setup is 3 degrees camber in the front and 2 degrees in the back. I have HR springs also. The car runs totally straight and true and always has - before and after HR springs and before and after K-Mac. mine pulls to the right slightly as well. Friend also has it on his 2012 and also pulls to the right. No worries, just press the "quote" button at the bottom of the member's post u want to reply to, it will avoid confusion. 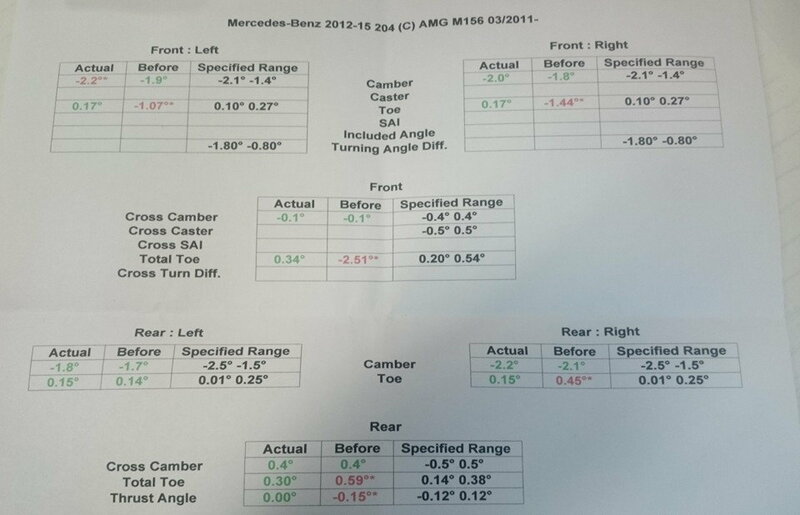 Try to compare ur alignment specs with the specs I linked earlier. It might guide u in the right direction. Sorry if I can't be of any more help as I never had this issue nor did an alignment. all of it is in the alignment. You said you checked it and it was good. Good meaning everything is in the green? or what. 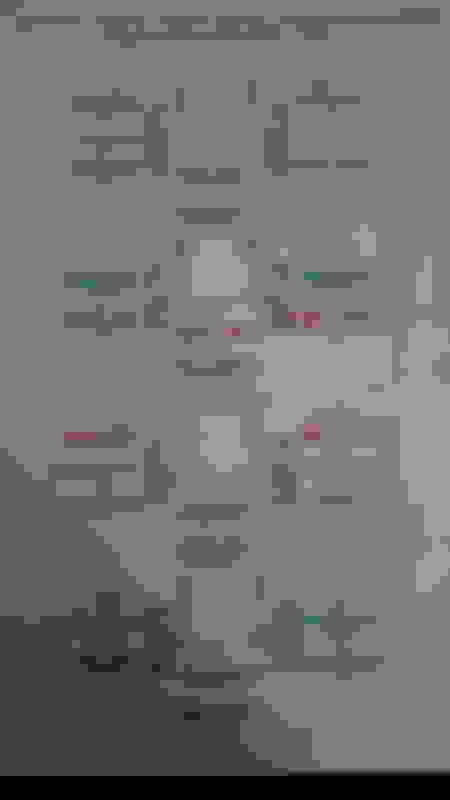 Green doesnt = good. it means it's within the recommended tolerances. Post up the specs and Ill tell you whats up. I just installed hr Springs in the front. Took it for test drive it pulls to the right. Let off the wheel and then starts going to the right. Time for some alignment bolts. 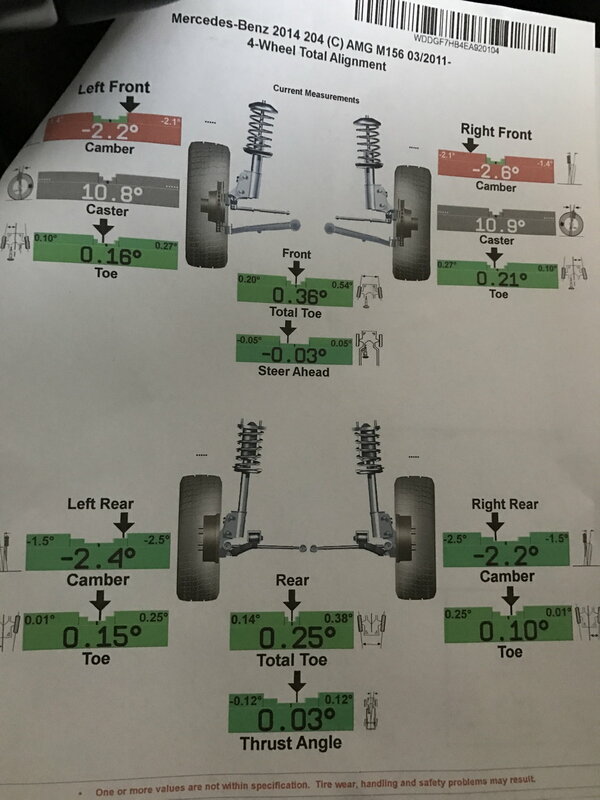 Best thing to do would be to go get an alignment reading and post your specs up here so others can guide you on what to do. I got a reading at Auto Innovations in Milpitas for $40. GREAT! Group of guys. 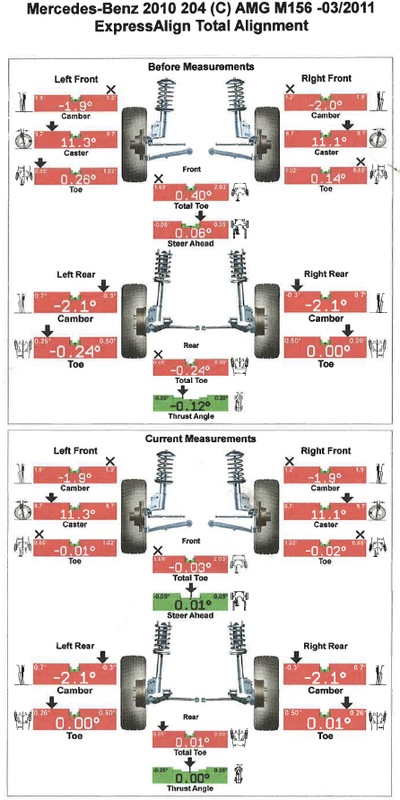 Most places will give you free alignment checks for a while after doing alignments there, some for 3 years. So you can go back and have them run a reading and give you a print out any time. are the bolts easy to install? I installed the camber bolts this past weekend. Was easy peasy 10-15 min per side. First i pulled driver side camber in. took for test drive. Steering wheel canted to the right by alot. Car still pulled to the right. Then I installed the pass side and pulled in the camber. Took for test drive, car pulled to the right but less pull. Test drove the car with new wheels and tires with 60 miles on them before the camber adjust. Found out rear tire was leaking so i swapped back the OEM wheels and test drove it. With both camber pulled in and original wheels the car pulled very slight to the right. I can see the toe needs to be adjusted. Will report back after toe adjustment. Update: Got the car aligned again today. Looks like the shop who aligned my car before might have problem with the rear right sensor because it is off. I guess the solution for me was to pull the camber in on both sides and re align it. Add another one to the list. Mine is pulling to the right now after the spring install, and before and after alignment. Did the install myself so may take the front back apart and reinstall. AfterAnyone ever figure out the issue? Also if I install the camber bolts will it affect the other geometry? install camber bolt will affect the toe. my drives straight on stock 18 with stock tire. with my 19 and falken tires it pulls to the right. Forgot to mention I am on stock 18's. Should I get 2 bolts for the front or go ahead and get 4? 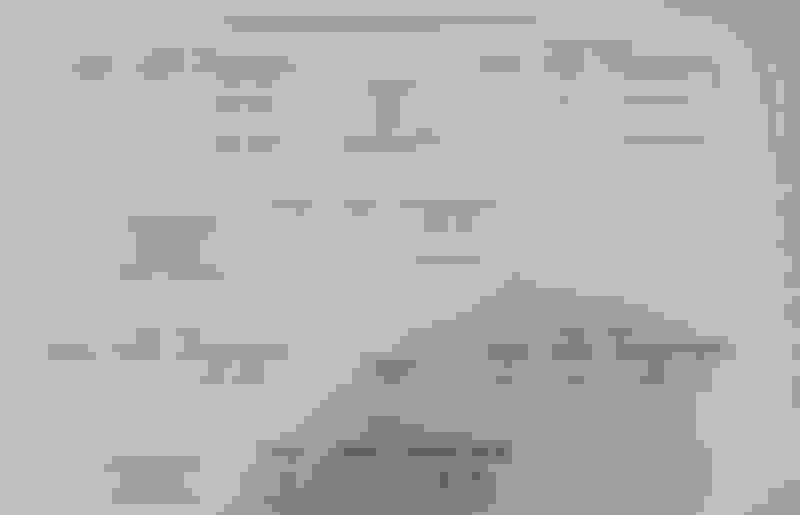 Here's my alignment. Car doesn't pull to the right on my summers (that I did the alignment with) but does on my winters. From what I gather all C63's pull to the rights once you lower the car it will get worse. When you align the car you need to install a caster bolt and that will aid it getting the car straight. Yeah, It's likely the caster difference causing it to pull. I have springs in my basement. Hoping to install soon, but thinking twice. How bad does it pull to the right? Only if you let go of wheel? Or can you tell it wants to go right even holding the wheel? I want the look not sure I want a bad drivability issue though. Seems like a lot of people have them must not be that bad if some are ok with it.